The Ohio Cooperative Development Center (OCDC) at The Ohio State University South Centers is leading an effort to cooperatively develop local and regional food systems by working with new and emerging food hubs and incubator training farms. The two-state Ohio and West Virginia Food Hub Network brings together food hub stakeholders and technical assistance providers in a peer exchange network to experience educational programming and peer learning. 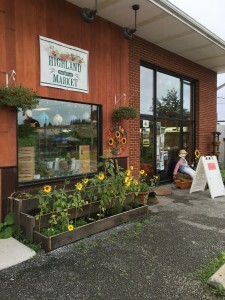 The August meeting included a tour of Highland Market, a local foods grocery aggregating produce, meat, dairy, eggs, and other products from farms in the region. Over 80% of the store’s suppliers are within 150 miles of the grocery. In August, the network’s quarterly meeting featured regional food aggregation and distribution businesses in eastern West Virginia with a focus on the policies and procedures used by these businesses to effectively procure and sell locally produced food. The meeting was a joint program of the Ohio Cooperative Development Center, the West Virginia Food and Farm Coalition, and the Value Chain Cluster Initiative. 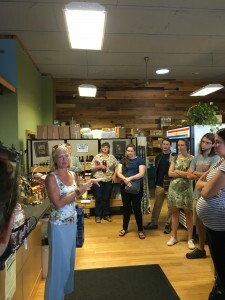 Meeting participants learned from Kimmy Clements, manager of the Highland Market, about the development of the local food grocery in Davis, West Virginia during a tour of the store. The market, which is a project of the Potomac Highlands Food and Farm Initiative, purchases locally produced meats, eggs, dairy, produce and much more largely from farms within 30 miles of the store, a practice meant to support small-scale producers in the region. The day also included presentations from the Preston Growers Co-op, a cooperative of five farms in Preston County, West Virginia that jointly markets produce, eggs, and other food mainly to local schools. Farmers in the recently formed cooperative coordinate their production, jointly market to customers, and are working together to gain Good Agricultural Practices Certification. Participants also learned about the aggregation and distribution model of the Garrett Growers Co-op from a founding member of the business. The Maryland based co-op aggregates produce from twelve member farms and delivers to stores, restaurants, and through a Community Supported Agriculture program. Kimmy Clements, manager of the Highland Market gives meeting participants a tour of the market in Davis, West Virginia. If you are interested in learning more about food hubs or the Ohio and West Virginia Food Hub Network, please contact Hannah Scott at 740-289-2071. The next activity of the network is an educational webinar scheduled for October 13, 2016. The 11:30am webinar will feature representatives of the U.S. Department of Agriculture Farm Service Agency sharing information about loan resources for growers. 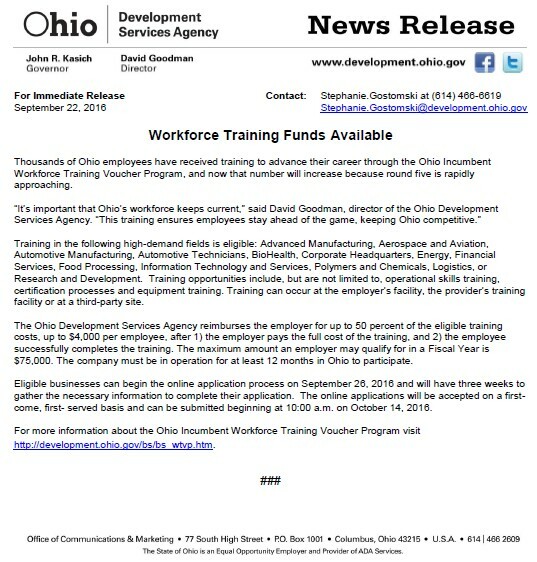 For more information, please visit the Ohio and West Virginia Food Hub Network webpage.